This contains the Legacy Story Arc seen in Batmam 533-534, Shadow of the Bat 53-54, Catwoman 35-36, Robin 31-33, and Detective Comics 699-702. 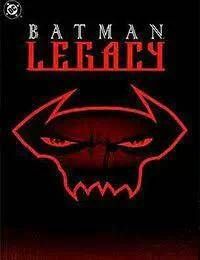 Batman: Legacy is a crossover story arc in the Batman comic book series, which is a sequel to another Batman story arc, Batman: Contagion and also serves as a follow-up to the Batman: Knightfall story arc. The story deals with the return of the disease known as the Apocalypse Plague, the Filovirus, Ebola Gulf A or in its more popular nickname: The Clench.